The introduction of the user-friendly, e-commerce website has literally turned a 12-step, two-day process into a three-step process that can be completed in minutes. Should customers have any difficulty in navigating the online process, they can click on a help button to launch a live chat session with an agent who will assist them and answer any queries they may have. 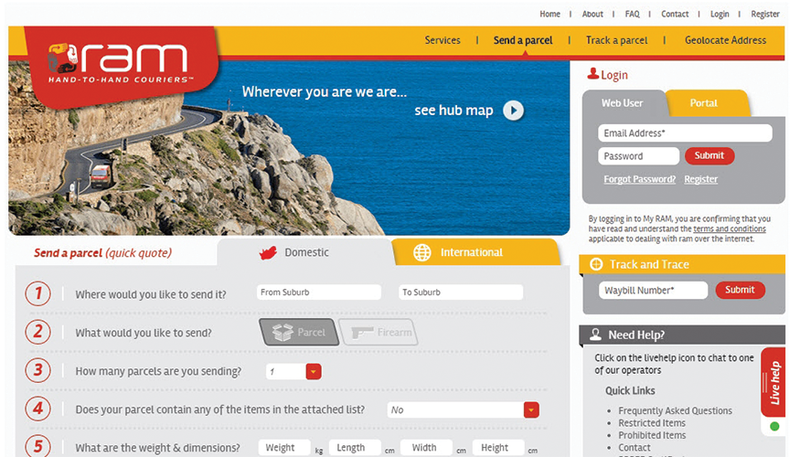 Customers looking to track their parcel’s progress can do so by entering their waybill into the “track ‘n trace” widget to pinpoint exactly where their parcel is at any given moment. The website is part of RAM’s larger strategy to differentiate ourselves in the market by investing in and using technology to make both our customers’ lives and our jobs easier.